September is by far my favorite time of the season, water temperatures are perfect and we always receive just the right amount of rain the keep the rivers levels perfect. 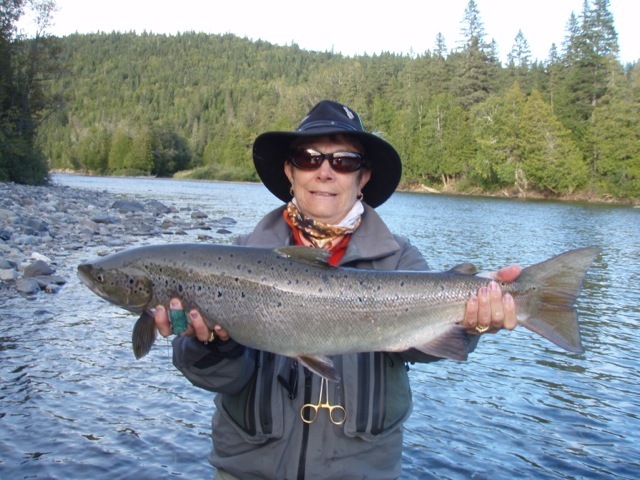 Our pools are loaded with salmon at this time of the season and the fall run of bright fish are coming in strong. Pierre Vezina with his biggest Salmon Yet, Congradulations Pierre! Our rivers are in perfect condition, the Grand Cascapedia is fishing very well, we just had a simply wonderful week, especially for big fish. The Petite Cascapedia is in great shape and the fishing has been Great, everybody we had on the Petite this week caught fish. The Bonaventure is on fire with plenty of fish in all our pools. 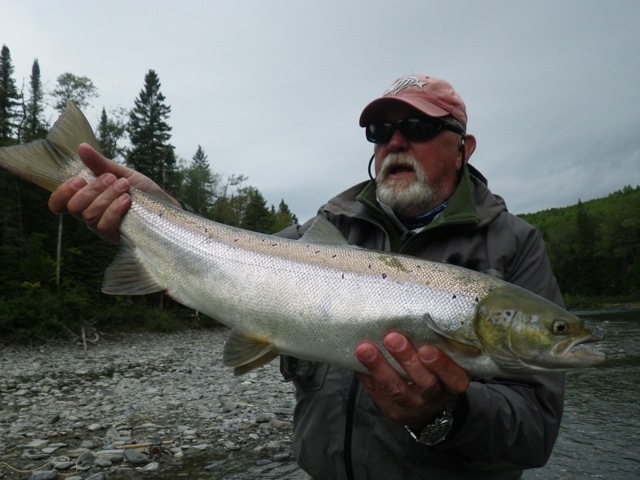 The fall run has been one of the best I've seen in years and we have a camp full of very happy anglers! For those lucky anglers coming to camp next week, hang on! 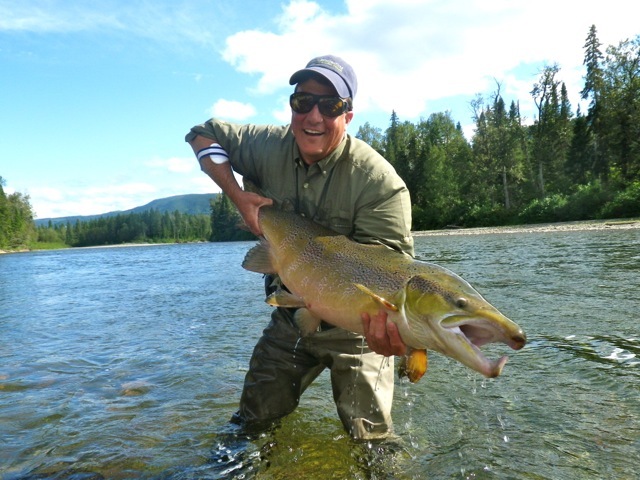 Joe Colletta has been coming to Camp Bonaventure for years, here's why! Good fish Joe. The September fly choice is different from any other time of the season. The Red Francis is always the fly of choice this time of the year and this year's no different. Along with the Red Francis the Alley Shrimp and GP are also doing very well. As long as our water temperatures stay in the 50's dry fly's are working very well. As always, Green, Brown and Blue are the hot ones. 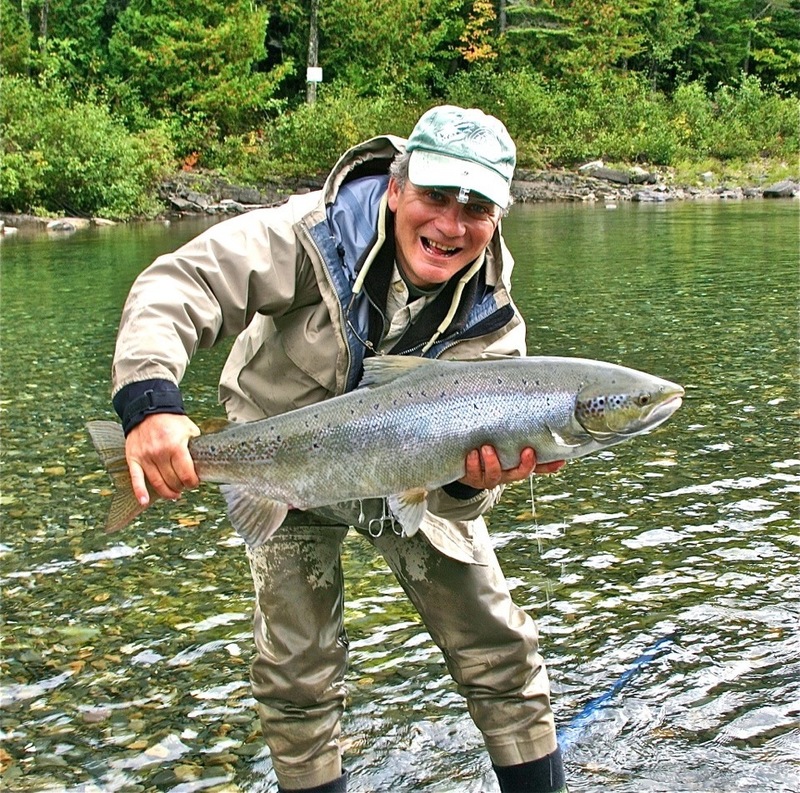 Wolfgang Spors has been a regular at Camp Bonaventure for years, he and his wife Meta were high rods for the week. They are both great anglers. Hey, this is only the first week of September and the fishing has been great, it's only going to get better! If you are interested in a September time slot contact us as soon as possible. I hav a limited amount of space for 2014, but it's going very quickly. Meta Spors with a fine Bonaventure salmon, Congradulations Meta!